...and also about the weather. Look at that icicle! 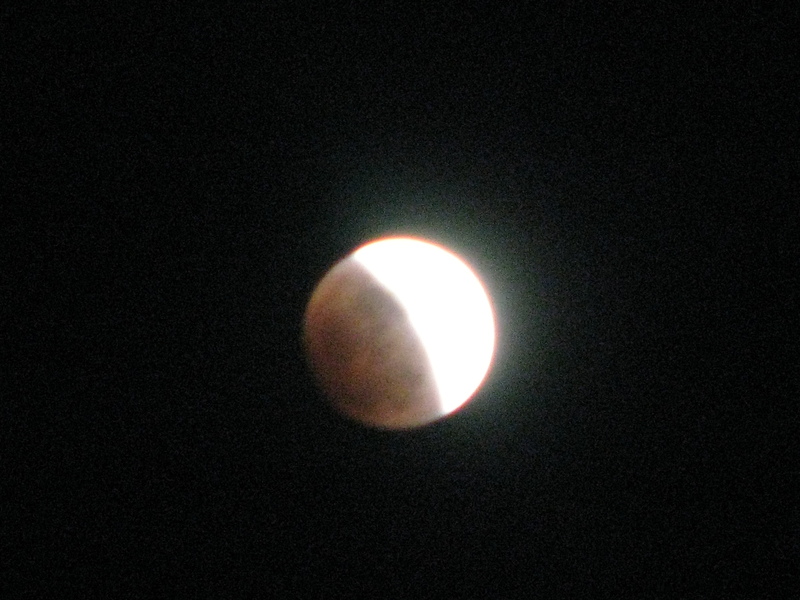 Did you get to see the lunar eclipse? 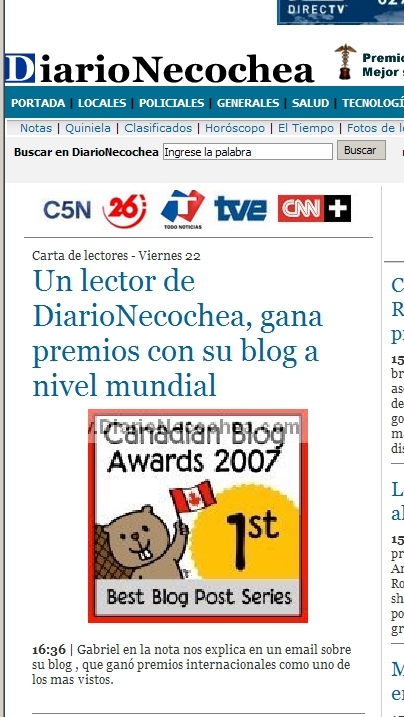 They wrote about me in a news portal from my hometown. I got lots of visits from there! 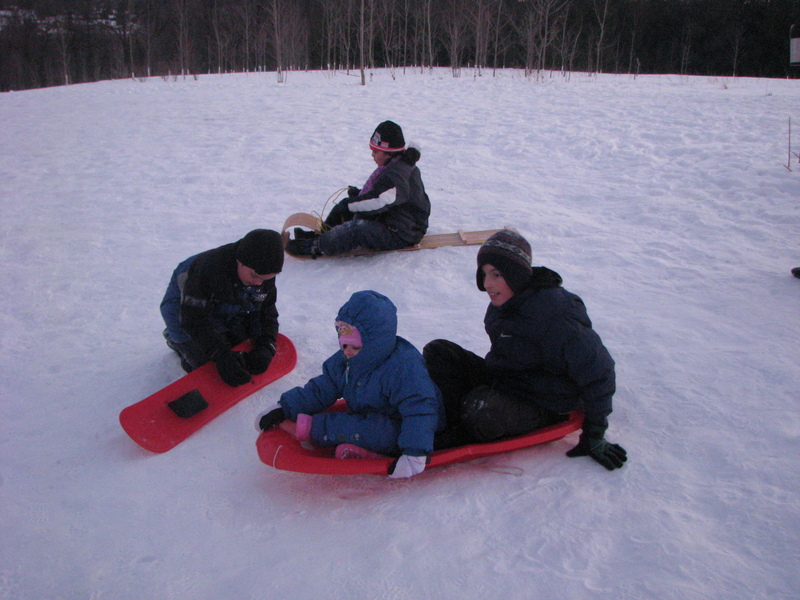 We went tobogganing last night, did you see the videos? Nice header! And I LOVE that icicle shot. I found 200 slides that belonged to my dad, and I have a scanner at work that works with slides and negatives...so I'm scanning about 10 every day (during my lunch break). As I said, they're terrible! Great shot of the eclipse - it was too cloudy here to see. I also really like the icicles. I love the icicle shot!!! I'm glad you had a great week, so did I! Looking forword to see the scanned pictures of your childhood years! Nice Beatles cuts when you were kids! Also that icicle is amazing and how cool to go out in the snow, in the night. I think you are quite adorable, Gabriel! Keep up the good work. What a great week! 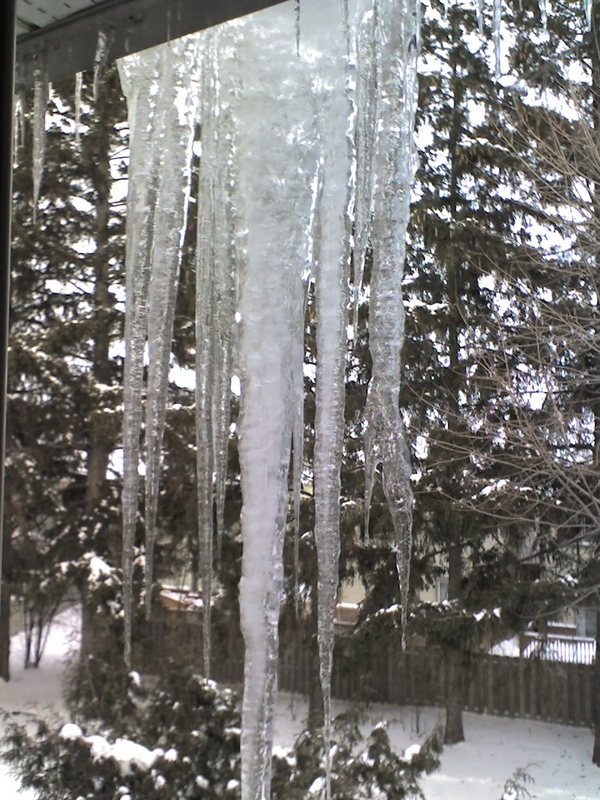 Love the icicle picture. congratulations - very creative post. The icicle shot was lovely! Iciles! Too bad we never get to see them here, I think my kids would love them. Right now they don't understand what they're looking at. great pictures this week. The first shot made me hungry and the ice shot made me cold. Have a great week. What an awesome picture of the ice cicle!!! Great shot of the eclipse! You were able to get a great shot of the eclipse!! I love childhood photos. I have a lot of them on my blog too. Stop by sometime. I'll fix you a glass of iced tea & you can put your feet up.